The Okanagan watershedLand area from which water drains towards a common point, or basinLand area from which water drains towards a common point, is a narrow strip that spans from Armstrong to the US border and includes six main lakes – Okanagan, Kalamalka, Wood, Skaha, Vaseux and Osoyoos – and surrounding mountains. A river basinLand area from which water drains towards a common point or watershedLand area from which water drains towards a common point is high at its edges and low in the centre where the waters flow. The Okanagan BasinLand area from which water drains towards a common pointThe Okanagan watershedLand area from which water drains towards a common point, or basinLand area from which water drains towards a common point, is a narrow strip that spans from Armstrong, British Columbia, Canada to the US border and includes five main lakes – Okanagan, Kalamalka-Wood, Skaha, Vaseux and Osoyoos – and surrounding mountains. The Okanagan BasinLand area from which water drains towards a common point includes all the land that feeds water to our big lakes, and is almost 200 km in length and 8,000 km2 in area. Kelowna, Vernon, Penticton and Osoyoos all lie within the Okanagan BasinLand area from which water drains towards a common point. includes all the land that feeds water to our big lakes. Kelowna, Vernon, Penticton, and Osoyoos all lie within the Okanagan BasinLand area from which water drains towards a common pointThe Okanagan watershedLand area from which water drains towards a common point, or basinLand area from which water drains towards a common point, is a narrow strip that spans from Armstrong, British Columbia, Canada to the US border and includes five main lakes – Okanagan, Kalamalka-Wood, Skaha, Vaseux and Osoyoos – and surrounding mountains. The Okanagan BasinLand area from which water drains towards a common point includes all the land that feeds water to our big lakes, and is almost 200 km in length and 8,000 km2 in area. Kelowna, Vernon, Penticton and Osoyoos all lie within the Okanagan BasinLand area from which water drains towards a common point.. The Okanagan BasinLand area from which water drains towards a common pointThe Okanagan watershedLand area from which water drains towards a common point, or basinLand area from which water drains towards a common point, is a narrow strip that spans from Armstrong, British Columbia, Canada to the US border and includes five main lakes – Okanagan, Kalamalka-Wood, Skaha, Vaseux and Osoyoos – and surrounding mountains. The Okanagan BasinLand area from which water drains towards a common point includes all the land that feeds water to our big lakes, and is almost 200 km in length and 8,000 km2 in area. Kelowna, Vernon, Penticton and Osoyoos all lie within the Okanagan BasinLand area from which water drains towards a common point. is almost 200 km in length and 8,000 km2 in area. Where does water from the Okanagan BasinLand area from which water drains towards a common pointThe Okanagan watershedLand area from which water drains towards a common point, or basinLand area from which water drains towards a common point, is a narrow strip that spans from Armstrong, British Columbia, Canada to the US border and includes five main lakes – Okanagan, Kalamalka-Wood, Skaha, Vaseux and Osoyoos – and surrounding mountains. The Okanagan BasinLand area from which water drains towards a common point includes all the land that feeds water to our big lakes, and is almost 200 km in length and 8,000 km2 in area. Kelowna, Vernon, Penticton and Osoyoos all lie within the Okanagan BasinLand area from which water drains towards a common point. go? The Okanagan River drains the lakes and flows south across the International Boundary as a small tributary to the Columbia River. Okanagan BasinLand area from which water drains towards a common pointThe Okanagan watershedLand area from which water drains towards a common point, or basinLand area from which water drains towards a common point, is a narrow strip that spans from Armstrong, British Columbia, Canada to the US border and includes five main lakes – Okanagan, Kalamalka-Wood, Skaha, Vaseux and Osoyoos – and surrounding mountains. The Okanagan BasinLand area from which water drains towards a common point includes all the land that feeds water to our big lakes, and is almost 200 km in length and 8,000 km2 in area. 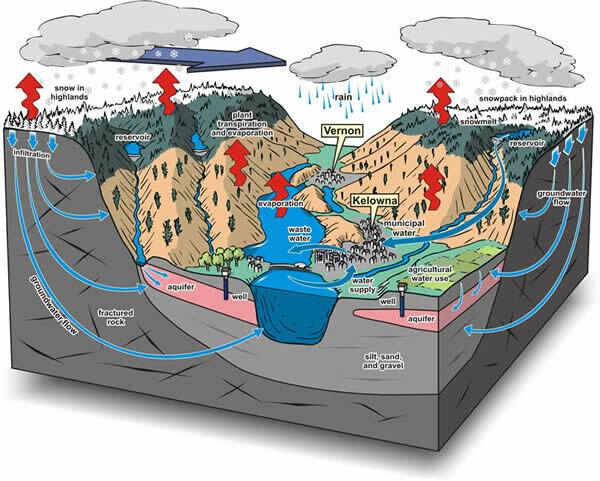 Kelowna, Vernon, Penticton and Osoyoos all lie within the Okanagan BasinLand area from which water drains towards a common point. water flows into the Columbia River, past the city of Portland, to the Pacific Ocean. Supply and demand in the Okanagan BasinLand area from which water drains towards a common pointThe Okanagan watershedLand area from which water drains towards a common point, or basinLand area from which water drains towards a common point, is a narrow strip that spans from Armstrong, British Columbia, Canada to the US border and includes five main lakes – Okanagan, Kalamalka-Wood, Skaha, Vaseux and Osoyoos – and surrounding mountains. 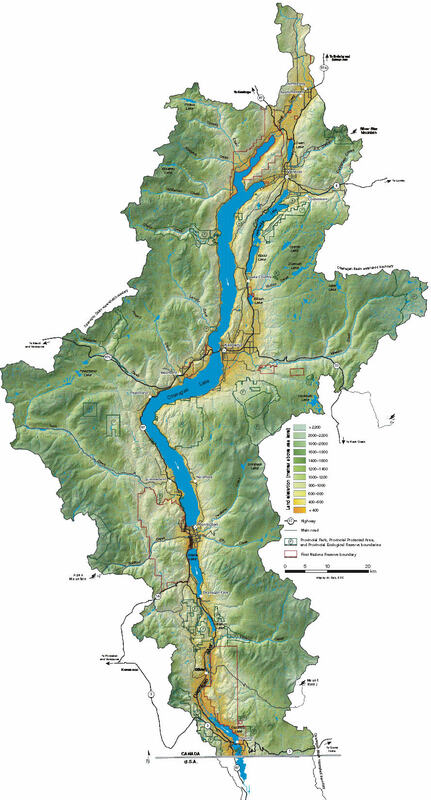 The Okanagan BasinLand area from which water drains towards a common point includes all the land that feeds water to our big lakes, and is almost 200 km in length and 8,000 km2 in area. Kelowna, Vernon, Penticton and Osoyoos all lie within the Okanagan BasinLand area from which water drains towards a common point. was last assessed in 1974. Many streams are now fully allocated, and users are moving to groundwaterWater existing below the ground surface in aquifers. Increasing water licenceA licence issued by the B.C. government to store water, or to withdraw water from a surface water source for a particular purpose requests underscore the need for a valley-wide approach to water management. Weather in the Okanagan BasinLand area from which water drains towards a common pointThe Okanagan watershedLand area from which water drains towards a common point, or basinLand area from which water drains towards a common point, is a narrow strip that spans from Armstrong, British Columbia, Canada to the US border and includes five main lakes – Okanagan, Kalamalka-Wood, Skaha, Vaseux and Osoyoos – and surrounding mountains. 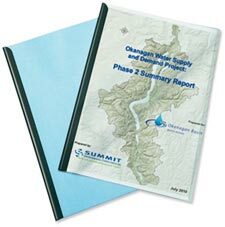 The Okanagan BasinLand area from which water drains towards a common point includes all the land that feeds water to our big lakes, and is almost 200 km in length and 8,000 km2 in area. Kelowna, Vernon, Penticton and Osoyoos all lie within the Okanagan BasinLand area from which water drains towards a common point. 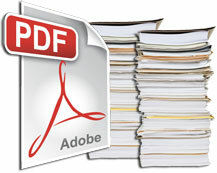 is arid and variable. The Okanagan has the lowest per person water supply in Canada. 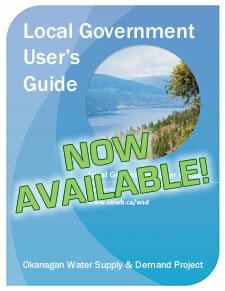 The average Okanagan resident uses 675 litres of water per day, more than double the Canadian average. 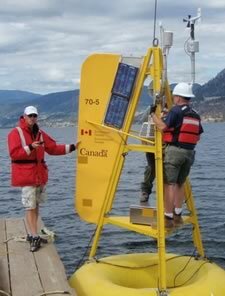 The Okanagan Basin Water Board and Environment Canada launch buoys on Okanagan Lake to monitor lake evaporation. The three buoys will be stationed on the lake, collecting data for at least the next three years. Each buoy is equipped with flashing lights that emit five flashes in 15-second intervals. One buoy is located approximately 4 km north of the Okanagan Centre boat launch in Lake Country, a second is in West Kelowna across from The Cove Resort, and a third is about 4.5 km north of the Summerland boat launch..